Lawns provide beautiful and quality outdoor space to relax after a long day at work, play with your children, and enjoy with your friends. 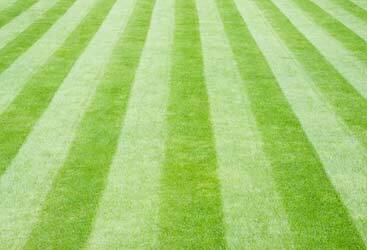 Routine maintenance and care for any lawn include feeding, mowing, aerating, and watering. If you want to keep your lawn healthy and hydrated, knowing when to water and how to water properly is important. What is the best time to water your turf? How long to water? How often to water? How to know when your lawn has been watered enough? If these questions trouble you – it is time to learn how to take proper care for your lawn and water it properly. The color of your grass tells you when to water your lawn. If your turf appears to be dull green, it means it needs water immediately. You can try another method. You can check your lawn by walking on it – if the footprints don’t disappear, it is because your turf blades and don’t have the proper hydration and moisture to grow. It the grass pops right back up, it means it has plenty of water. When the leaves and grass plants turn brown when your yard becomes dormant, bids and crowns stop growing – it is time to water your lawn. When the temperatures change and cooler weather and moisture returns, turfs will start growing again. With proper care, your lawn will soon return to being healthy and fresh. 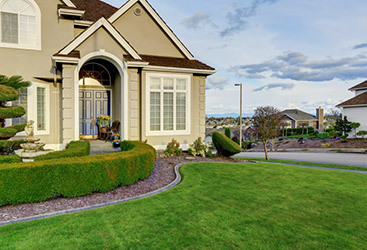 The majority of homeowners think that they can water the lawn anytime during the day. The truth is that your lawn needs more care and attention. Watering your lawn, before 10 a.m in the morning is the best time. The wind is calmer, the weather is cooler and the water can quickly soak into the soil. Watering early in the morning also reduce fungal problems. After 10 a.m the temperatures are higher and the water evaporates more quickly. The result – less water is going to get to your grass. If you aren’t flexible and you must water in the evening, we recommend you to try between 4 and 6 p.m. Keep in mind that watering in the evening leaves your lawn wet, increasing the chance for lawn diseases. Properly cared-for, green, and established lawns can survive weeks without water. When watering such lawn, it is recommended to water until the top (6-8 inches of soil). Make sure not to overwater. Usually, most lawns need 1 inch of water per week (from watering or rain). The inch of water can be applied during one watering. Another option is to divide it into two ½ inch waterings per week. New lawns need to be maintained properly and watered every day. Based on the location, sometimes, your lawn needs to be watered two-three times a day to keep the turf moist. You shouldn’t allow the top ½ inch of the soil to become dehydrated until the turf is 1 inch tall. After that, water your lawn every day (for three weeks) until turf is established. Once you notice your turf is established, start watering 1-2 times a week. Can your lawn be over hydrated? Is there a thing as too much water? Yes, there is. Your turf can get too much water and in this case, it doesn’t get oxygen and can easily suffocate. Also, too much water can make your grass prone to disease. So, how often to water the lawn? Watering daily will give your turf a poor root system. Such system weakens your lawn and dries out quickly. Deep and infrequent watering stimulates grass roots to grow deep, developing stable systems below the soil. This helps your lawn to be stronger and more resilient to changing temperatures. On average, your lawn needs to be watered three times a week (this is mandatory for warmer months). Yards can be watered as little as two times per week to achieve better results. In cooler seasons, there is less evaporation and higher chances of rain. When grass and plants start waking up from winter dormancy, you know it is springtime. In order for them to start growing again, proper moisture and watering are important. Water provides your turf with all essential nutrients, so the best time to start watering in the spring is as early as possible. 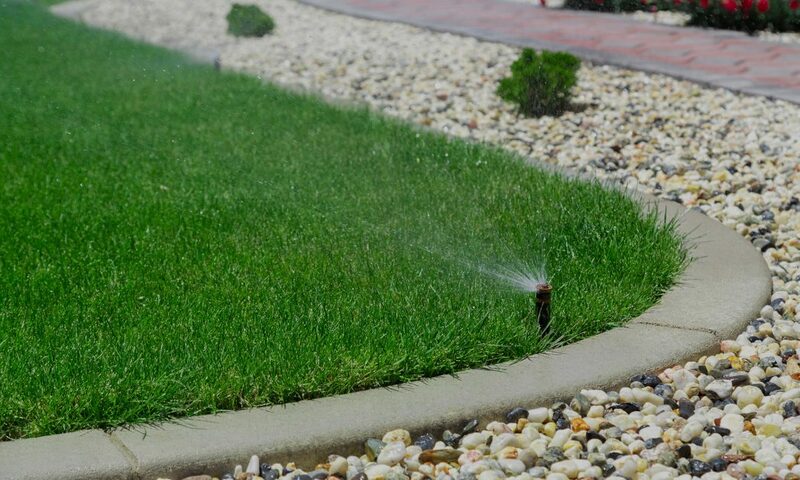 Grass thrives on routine watering and the sooner it starts getting watered, the sooner it will turn fresh and green. As soon as spring kicks in, lawns need hydration. If there is not enough water, the turf won’t get the nutrients important for its growth and its defense against pests and diseases. We’ve already discussed that too much watering is not good for your lawn as it may have the opposite effect. For the lawns that had been fertilized in October, there is no need to re-fertilize them again. You can only apply pre-emergent weed control to take care of weeds that can be an issue later. For homeowners who want greener lawn, fertilizer can be applied at the end of spring. When the temperatures are high, your lawn is suffering from heat stress. The turf starts to lose turgidity and the grass color turns brown. The lawn is not dead and can be easily recovered after proper watering. Summer watering is best done in the morning. This, as we said before, is the coolest time of the day and evaporation can be minimized. Night watering may result in moisture and humidity stagnating. Different lawns require different amounts of water. The quality of your soil also affects the length of watering. For example, sandy soils are pretty bad at holding moisture. If your lawn sits in such soil, it will need to be watered more frequently (20-30 minutes, twice a week). The first thing you need to do is a test on how effective your sprinkler system is. If you can adjust the system to bring your lawn back to green and healthy look, that’s great. Promoting a green and healthy lawn throughout summer will enable the turf to overcome stressful periods and make sure summer dormancy doesn’t occur. If you think you can’t take care of your lawn but you still want to enjoy a beautiful outdoor space, hiring a professional lawn care company is the best solution. There are many misconceptions about watering your lawn in the autumn or more specifically when to stop watering your lawn. Regardless of the snowfall, you shouldn’t stop watering in fall until you notice that the ground starts to freeze. In order to keep your lawn healthy, you must use proper watering techniques. Depending on the climate of your region, your lawn will not need as much water in the autumn as it would in the spring and summer. Too much water during the fall can harm your lawn and if you saturate the root system, you could damage your lawn. In autumn, you need to water twice a week at about 20 minutes. Try to water your lawn as easily as you can, especially if you are hand watering. If you live in a region where there is snow over the winter season, you can stop watering your lawn around September or October. At that time, your turf and plans are going into winter dormancy. If you live in a humid region, restrict your watering routine to once or twice a week at about 20 minutes. As long as you are still mowing your lawn and you notice that the grass is growing – you may need to water. Doing a little research to decide what is best for your turf is always a good idea. Where winter temperatures drop below 0, lawns automatically become dormant. In this case, you won’t be needing a lawn mower. In areas where winters are moderate, with some freezing temperatures but without frost, the warm-season turfs become dormant. Occasional snow or wain should provide moisture to maintain both cool-season and warm-season lawns. In warm regions where the temperatures stay over 40 degrees, lawns stay fresh and green and keep growing. If you think rainfall is not enough, you will need to water during the winter period to maintain a healthy and beautiful lawn. If you decide to water in the winter, you can water less often than in summertime. Grass and plants lose less moisture because of evaporation in mild temperatures than they do when the temperatures are high. If winters are moderate and not hot, plants and grass transpire less. 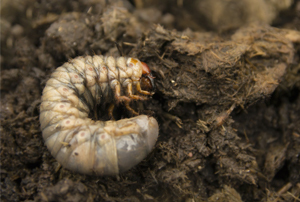 In order to moisten and hydrate the soil, water long enough, about 6 inches. This is the depth of a strong root system. Check the soil every 15 minutes, to see how far the water steps down. The best way to check the soil is to use a shovel, dig a whole, and lift up the turf. Calculate how long it takes for the water to go into the ground. Water for that exact duration every time you turn on the sprinkles. Remember – each lawn has different quality of grass and soil. When watering, water for your type of grass. The best systems for watering your grass is by using built-in sprinklers. This is by far the most efficient system. If you are planning on living in the current house for a long time, built-in sprinklers are definitely worth the investment. For homeowners who don’t want to invest in these kinds of sprinklers, a pulsating sprinkler is the next best solution for a green and established lawn. This type of sprinkler shoots out the water at a high velocity. It sprays the water horizontally and is not vulnerable to win. The pulsating sprinklers work best for lawns with established and mature turf. For new lawns, the rules are different. Intense watering can wash away your seeds. For new lawns, oscillating sprinklers are a better option, at least, until the turf takes its own root. If you are watching your phone all the time, trying to remember when to turn on and turn off the water, chances are that sometimes you may forget that the sprinklers are watering. Buying a timer won’t cost you much (you can find one at home centers for $10 or less). The timer will turn off the water after a specific period of ume and make sure the lawn gets the right amount of water. With a timer, you don’t have to worry about your turf being over watered. There are soils so hard where the water won’t easily sink in. In situations like these, the homeowners need to water the lawn in stages to soften the soil. Wait for at least 30 minutes for the water to soak into the soil and then water for another 30-45 minutes. If you do it at once. The water will run off and you won’t accomplish anything. Your lawn will still be dry. Lawns that are a combination of Kentucky bluegrass, fine fescues, and perennial ryegrass will go asleep during drought, if not watered properly. They will re-green during fain periods. Tall fescue has a strong and deep root system. This grass type has the highest drought tolerance. Bermuda, Zoysia, centipede, and St. Augustine grasses have deep root systems which make them better to resist drought. Warm-season grasses usually require less water than cool-season grasses. Based on where you live, it determines how often you need to water because of differences in temperatures, summer-weather conditions, and rainfall. 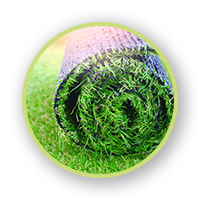 Turf requires the most water in the spring and summer period, in conditions of low humidity, drought, high winds, and heat. If you want to keep your garden and lawn green during high temperatures and dry seasons, lawn care services are your best option. Instead of spending your free time, buying sprinklers, overseeding, aerating, mowing, and watering, call Green Turf Care and enjoy a beautiful and well-maintained lawn. Green Turf Care is known for having the best team, equipment, and lawn solutions in the market. As a leading turf company in Pennsylvania, no project is beyond our capabilities. We use effective, low-cost, and non-toxic supplements that we add during the filling procedure. We can save you time and make sure you get the best watering results. Give us a call and schedule an appointment here. 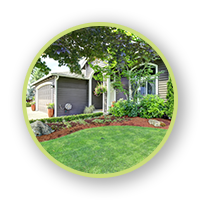 We are passionate about discussing your turf needs and provide you with the best lawn care service possible!